1. How long have you been blogging for? I have technically been blogging on here since December 2013, however I've only really been blogging properly for the past two months. Before then it was just sporadic posts really. 2. What's your favourite part of the week? My favourite part of the week at the moment is Wednesdays, as Jono has them off work. It means we get to spend some quality time together as a family of three as we often have plans with other people at the weekends. Sadly this is going to end soon, but for now it's definitely pretty awesome! 3. Which products have you bought recently that you'd recommend to a fellow mum? The product I'd recommend the most are Sock-Ons . Before I bought them Zach was forever kicking his socks off which meant not only that I had to keep putting them back on but also that we occasionally lose them too. I knew about Sock-Ons but thought we didn't need them until I saw another baby wearing them and their socks were so secure I decided to bite the bullet and buy them and I am so glad I did! 4. What colour's your pushchair? Car seat? Our pushchair is a Stokke Scoot V2 in 'Black Melange' (Read: Grey) and our car seat is the Maxi-Cosi Pebble and we have that in 'Folkloric Red'. 5. 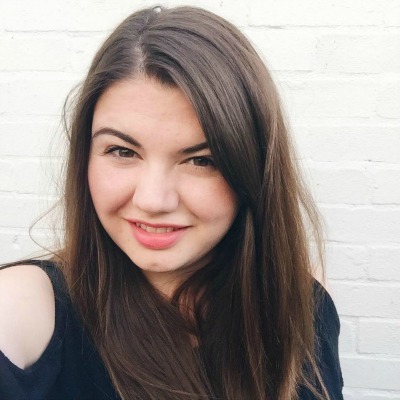 Five fellow bloggers you think we should know about/read? I read so many blogs that picking just 5 is really tough. My favourite parent bloggers at the moment are (not including the people who I'm going to tag) Mummy Daddy Me, Oh So Amelia, Capture By Lucy, Bump to Baby and Little Jam Pot Life - but I'm sure you already read all of these. I also read a lot of beauty and lifestyle blogs, so I thought I'd include 5 others just in case you haven't read any of these: Hello Gemma, From Gem With Love, Lily Loves Lola, Vivianna Does Makeup and Allison Anderson. 6. Your favourite kind of cake? I absolutely love cake so this is quite a hard question for me. I couldn't pick a favourite flavour, but my favourite to order when I'm out is the Choc-a-lot cake from Nandos. I don't know what it is but it is the best chocolate cake I have ever eaten. If you haven't tried it yet then you should. Go now. 7. What are you thankful for today? Today I am thankful for where we live. We moved out of the city when I was pregnant so that we could have a house big enough for our family, which meant leaving where I've lived for most of my life. Where we live now has such a wonderful community feel, with lots of local independent shops. It's a compromise as we'd both love to move back to the city, but as it's never going to happen where we live now is pretty darn good. 8. Where do you like to escape to? Whenever the going gets tough I like to escape to the bathroom and have a really long hot bubble bath. I've always been a bath person, and they make me feel so much better if I'm ever feeling down. When Zach was a newborn I took a lot of baths whenever it was getting too much. I'd leave Zach with Jono and have a half hour break and it always made me feel like a brand new woman, ready to handle tears and sleepless nights again. 9. What else do you like to do in your spare time? In my spare time I like to spend time with my friends, bake, read and have long bubble baths! 10. Who do you share all your secrets with? I think the only person who knows all of my secrets (not that I really have any) is Jono. 11. What are your plans for the weekend? Our plans for this week include spending time with Jono's family as it is his Nan's birthday which will be really lovely. Jono comes from quite a big family and they have welcomed me with open arms and I love spending time with them - I can't wait! 1. 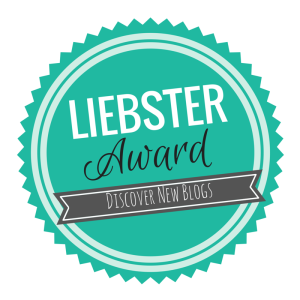 Write a post about the award where you link back to the blogger who nominated you. 2. Answer the 11 questions below in your post. 3. Nominate 11 fellow bloggers who have not received the award and don't have that many followers; be sure to include their links in your post as well. 4. Notify your nominees on social media. 1. Do you have any holidays booked this year? 2. Why did you decide to start blogging? 3. What pushchair do you have? And did you find it hard to chose? 4. What is your favourite food? 5. How many siblings do you have? 6. What is your biggest achievement? 9. Why did you chose your blog name? 11. What is your favourite TV show?